Kungsleden AB (publ) strengthens its position in Hyllie, Malmö’s largest development area, through the acquisition of Malmö Vagnslidret 1 where a new office building is being constructed. The property is a perfect complement to Malmömässan, which was acquired by Kungsleden earlier this autumn and located nearby. The sales price is set at SEK 165 million. 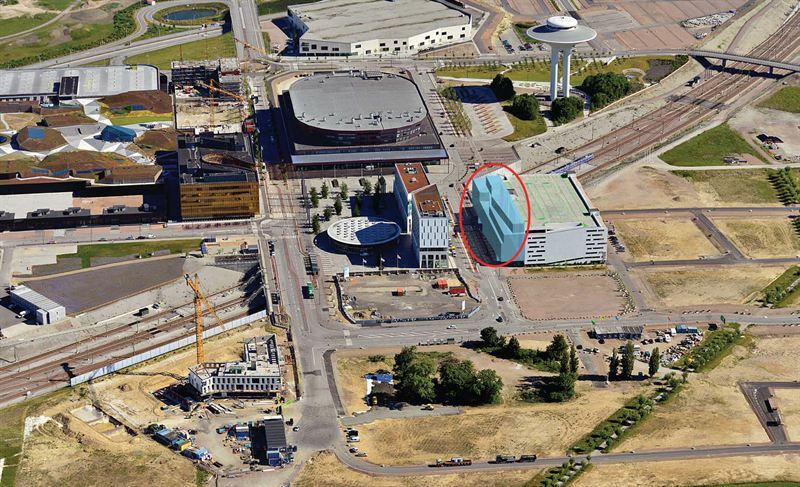 Malmö Vagnslidret 1, also referred to as project “Isblocket” (The Ice Brick) is located next to the express train station in Hyllie and will be completed at the end of 2015. Hylllie, which is Malmö’s largest development area, has a strategic location just minutes away from Copenhagen Airport and the city centers of Malmö and Copenhagen. The seller Otto Magnusson Byggnads AB, is developing the property with a total leasable area of 4,591 sqm. A longer leasing agreement has been signed with Malmö municipality’s parking company P-Malmö. The acquisition is expected to be completed when the project is finalized and surveyed in January 2016. “We continue to strengthen our position in the Malmö region through the acquisition of “Isblocket”, located in one of southern Sweden’s most appealing areas. The acquisition is in line with our strategy to expand our portfolio with high quality properties in growth regions, which this deal clearly confirms”, says Ylva Sarby Westman, Head of Transactions at Kungsleden. The information was provided for public release on 22 December 2014 at 07:00 a.m.